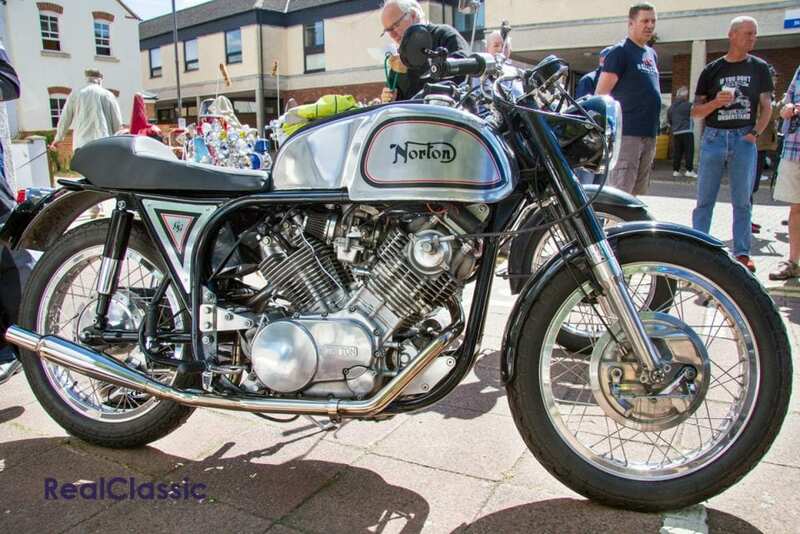 There were a multitude of classic motorcycles at Stony Straford near Milton Keynes recently. It must take a great deal of effort, enthusiasm and planning to arrange a single classic event each year but to arrange two must require dedication above and beyond the call of duty. However this is exactly what the organisers of Classic Stony manage with shows in the town centre at the beginning of January and June each year. Described as ‘an informal gathering of classic, vintage and interesting vehicles’ the meeting seems to grow in stature and volume each time I attend, most recently on a sunny 4th June 2017. 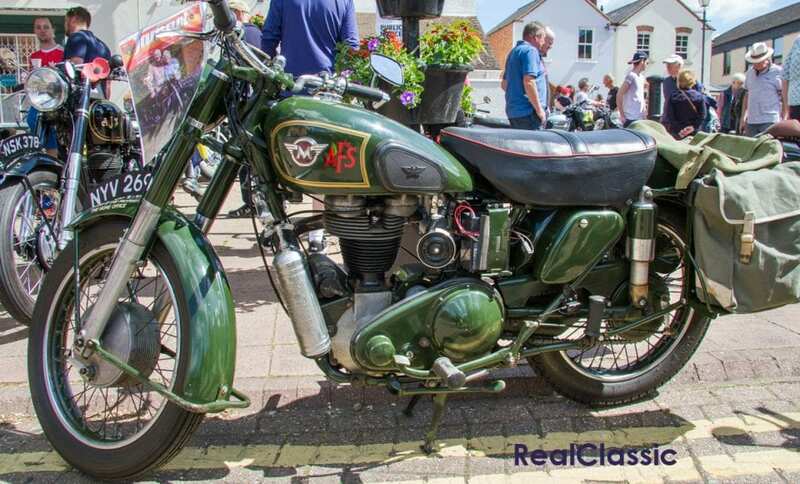 Not only are there plenty of bikes to see but also some rather impressive classic cars as well as the ‘interesting vehicles’ – which this time included a little tank. 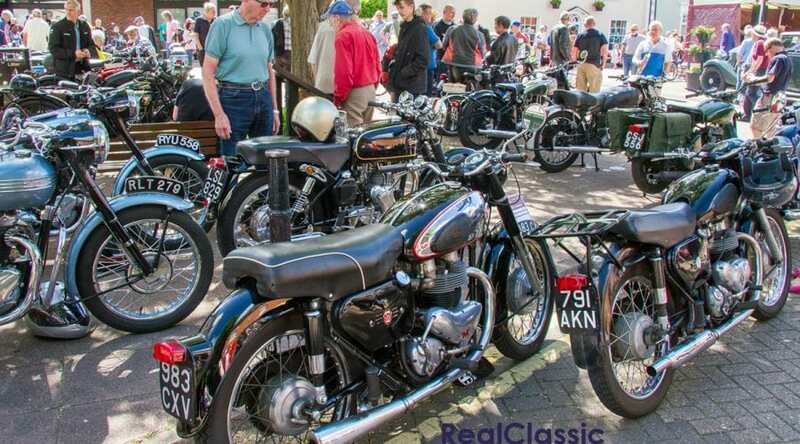 You can turn up on the day with your bike and, for £5, show off your pride and joy to spectators who roam around for free although a donation to Willen Hospice, which the show supports, would be more than welcome. Let’s start with the smallest machine I photographed – a Rudge Whitworth bicycle fitted with an awesome 49cc Mini Motor attachment. 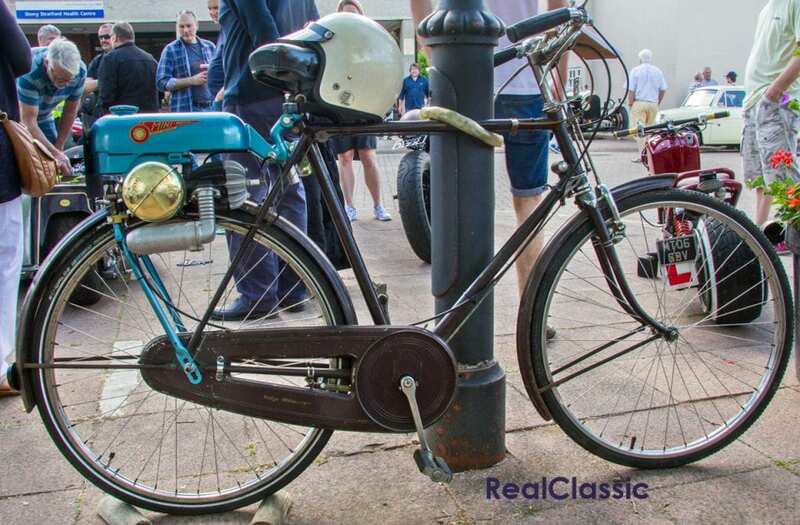 The two-stroke engine has but one speed, a Wipac flywheel magneto and a friction roller which pushes the back wheel to untold speeds… All right, I may exaggerate slightly, but it was capable of propelling a tandem nearly as well as a bicycle and would apparently do 22mph in solo form. Designed originally by Vincent Piatti in 1946 as a unit to power portable lathes, it was manufactured by Trojan in Croydon from 1949 to 1955 in five models, the MkI to the MkV. At 240mpg, who’s to say the cyclemotor won’t make a comeback? Now to the first of two Tritons I saw although, despite the legend on the engine cover, I think this should be a Nortamaha or perhaps Yamaton because that V-twin motor looks like a Yamaha XV1000 unit. No – on reflection let’s stick to Triton because the other names are just silly and this bike is far too special to be anything other than a Triton. Original date is 1957, presumably the manufacture of the donor machine, and the attention to detail is splendid. Someone has spent a great deal of time, and presumably money, to end up with such a top notch café racer. I was chatting to John Gorse who brought along this elegant 1954 Matchless G3LS. While telling me about his other bikes, he revealed that he was 86 years old – considerable respect is due as I couldn’t kickstart something like this and am some years younger. Back in 1953, the Home Office asked AMC to supply eight Matchless machines to evaluate for use by the Experimental Mobile Fire Columns, part of the Civil Defence response to the Cold War. AMC duly obliged and painted eight stock 350 singles matt green before handing them over. The G3LC passed the test which isn’t too surprising given the model’s solid military service during WW2. 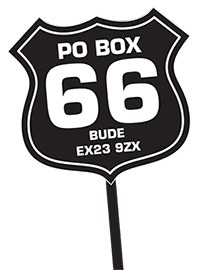 In addition to the original eight, about 429 were supplied between 1954 and 1961, this example being one of the first batch of 85. 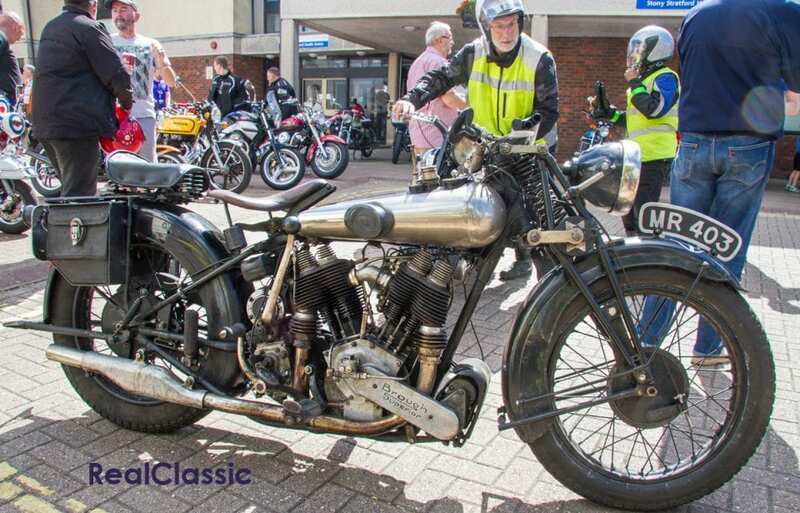 This 1924 998cc Brough Superior was one of two brought along by a lady and gentleman team and splendid they looked too – the riders as well as the Broughs. I am going to guess this is a JAP SS100 and the other, dating from 1930, was a JAP SS80. 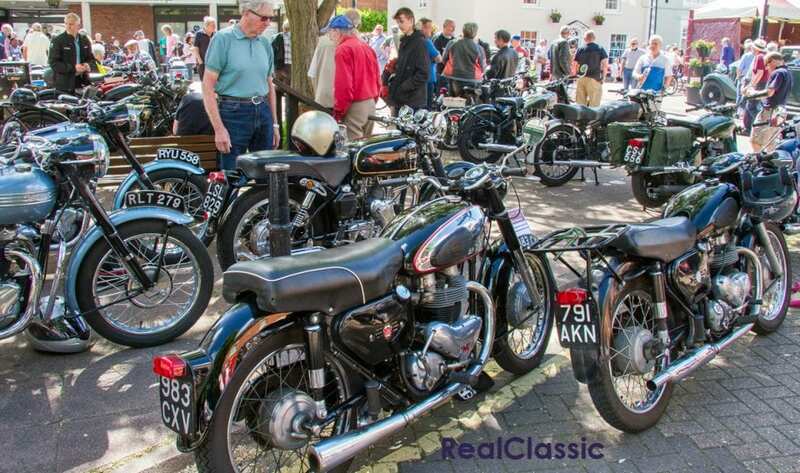 I think the fact that not one but two Broughs turn up at Classic Stony shows just how popular the event has become. Now, for reasons of balance as the political commentators say, a Yamaha V80 from that halcyon year of 1984. 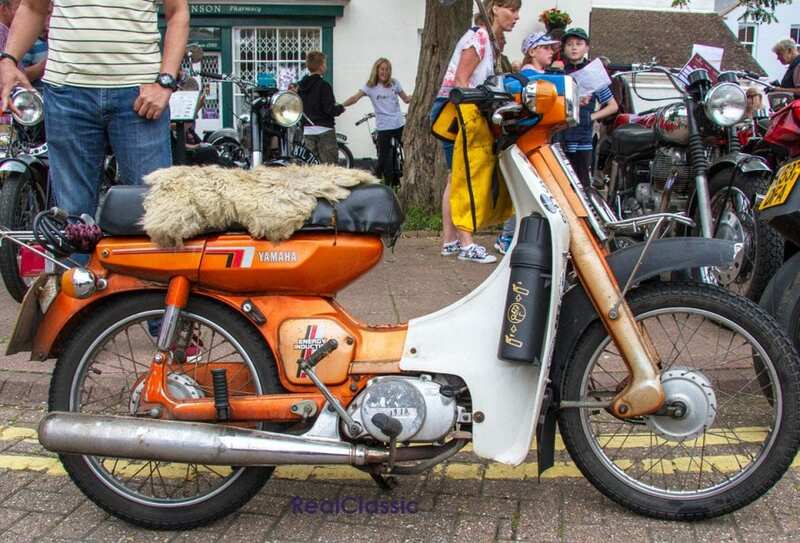 Powered by an 80cc two-stroke engine, it features a three-speed semi-automatic gearbox, dual seat and leg shields, all with autolube lubrication – what more could the rider-about-town want in the mid-1980s? Well, possibly, a sheepskin seat cover for extra comfort it would appear. An ideal commuter machine which would probably be fine for classic runs too. I know you’d be disappointed if there wasn’t something red and Italian and three examples turned up when I was off photographing cars so I didn’t get to speak to the owners; that’ll teach me. This is a 1958 Bianchi Tonale. Edoardo Bianchi produced his first motorised bicycle in 1897 with the last one appearing in 1967, so quite a run. 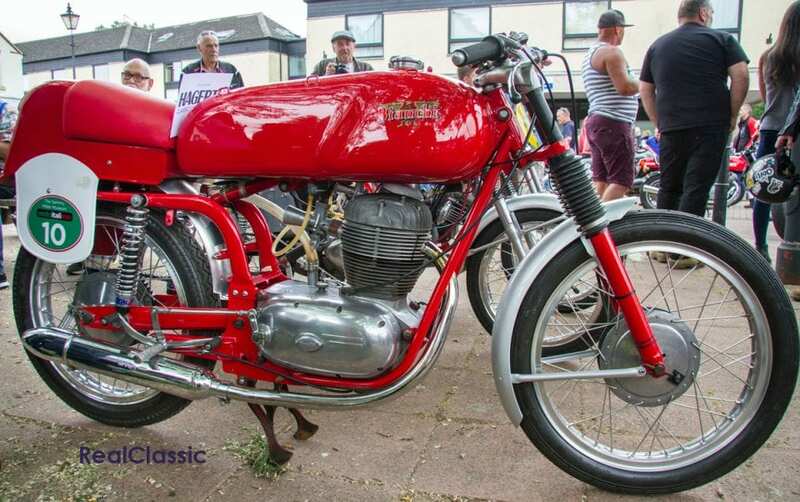 The Tonale was a 174cc four-stroke with a single Dell’Orto carburettor and four-speed gearbox. As you can undoubtedly see there are telescopic forks at the front, swinging arm with twin shocks at the rear together with drum brakes fore and aft. This looks like a race-bred example with that large tank and single seat but with an advertised top speed of 65mph it should have some get-up-and-go. Red again, this time German but with Italian overtones. Arturo Magni was sports director with MV Agusta until 1976 when they stopped racing after which he set up on his own account with son Giovanni. 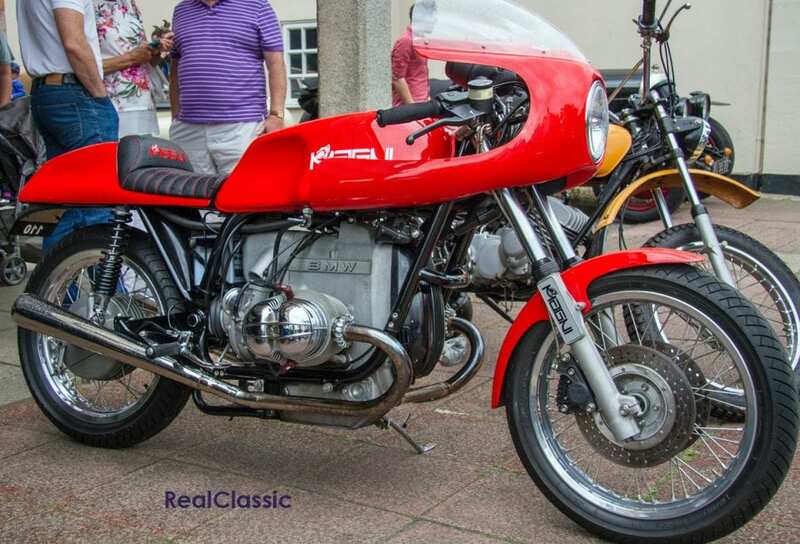 Although best known for Magni MVs and Moto Guzzis, he also produced the Magni BMWs, the MB1 and MB2, and the one here dates from 1979. It looks like something that today’s hipster generation would create but Messrs Magni did it almost 40 years before hipsters arrived. 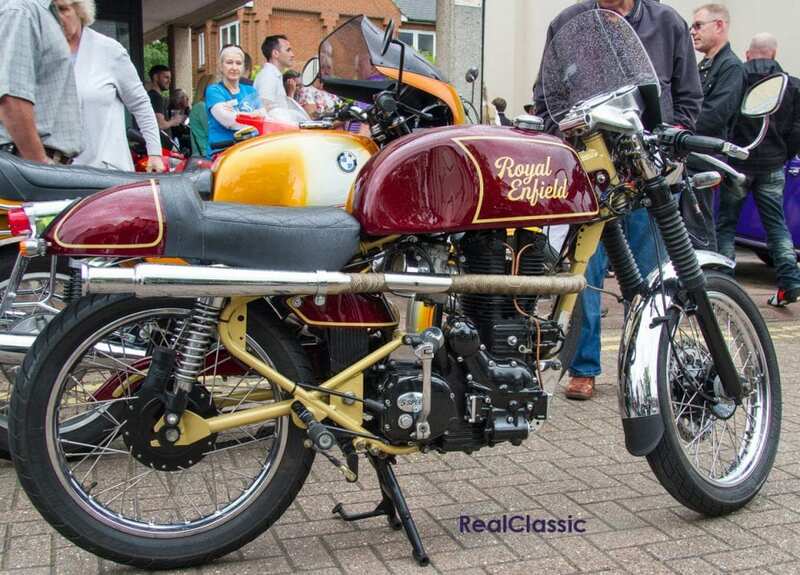 Someone has gone to a great deal of effort to customise this 2006 Indian-built Royal Enfield Bullet. Its flyscreen and humped saddle hark back to the glory days of the original 250 Continental GT – and some of the original adverts for the GT show it had a light-coloured frame… if no obvious exhaust wrap. I have to say that I like the result and it just goes to show that you can gild the lily of you spend enough time (and money). 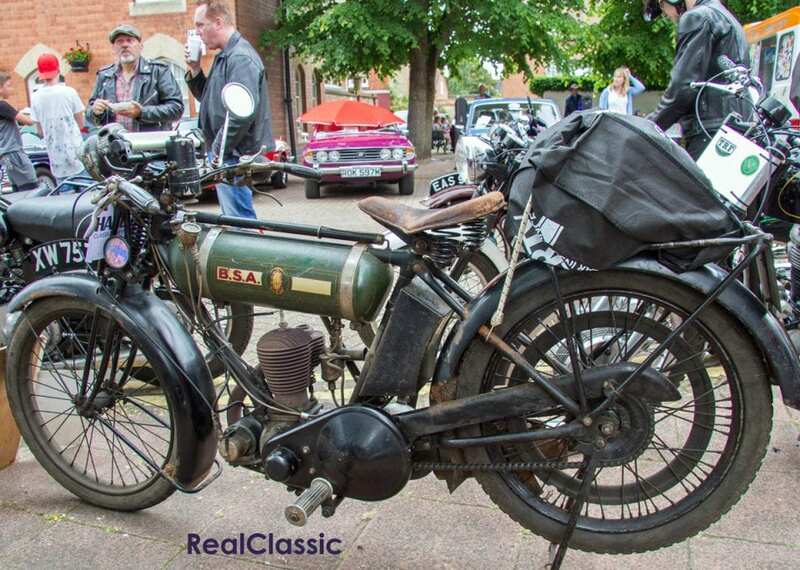 Let’s finish with this 250cc BSA; although first registered in January 1925 the engine number suggests it was manufactured in 1924 which would make it a 2.49hp Standard B25, as opposed to the De Luxe which arrived the following year. This meant it had that 1½ gallon round tank, mechanical lubrication and a two-speed gearbox.